You are here: Home - Blog - News - Terrier Team Moms – Second To None! Terrier Team Moms – Second To None! There’s no question that HHS Terrier Football Team Moms are one of a kind. 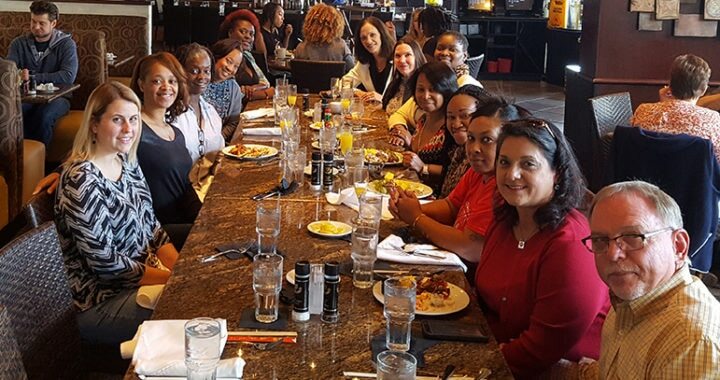 As our Athletic Director, Mick Boddie states “They are second to none!” For the first time in his 40 years of coaching, Head Coach Earl Garcia treated the Terrier Team Moms to a Sunday Brunch at Jackson’s Bistro. Garcia and his wife Gilda organized a special day for the Moms in order to say THANK YOU. Many people may not know the amount of hard work that is done behind the scenes by our Team Moms. It takes an insurmountable amount of time and resources to pull off those Friday Night Lights! From preparing post-game meals and giving players rides home to organizing eligibility paperwork and acquiring team sponsors, our moms go above and beyond the call of duty to ensure our players are ready for game night. 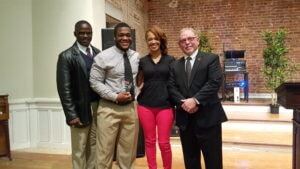 Most notable is Team Mom Iva Carter who has dedicated the last 7 years to the Terrier football program. Iva is the mother of Frank (Jackson State Universty Lineman) and Zachary (University of Florida 2017 Commit). 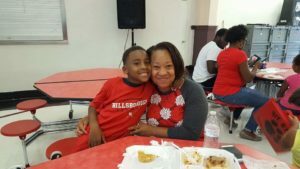 Both of her sons went through the program with flying colors while maintaining excellent grades and working in the community. Iva has been the engine behind our game day programs and many of our fundraising events. The 2016 season was Iva’s last season with the team and we can’t begin to express our depth of appreciation for her time and sacrifice for our players! 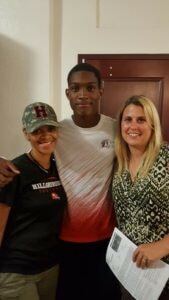 Team Mom Vanessa Oatman (mother of 2017 LB/FB Armand Chalk) signed on as the Executive Director of the HHS Football Association in April 2016 in order to leverage the program through strategic marketing, fundraising and social presence. She has spearheaded the launch of the team website, social media pages and fundraising events that have helped our team acquire new sponsors and engagement with Terrier Alumni. Known as “Ms. V” to the players, she has become a secondary mom to the entire team. Vanessa has been on the sidelines capturing all the epic moments from the 2016 season and sharing them with our fans! Team Mom Tivona Hill (mother of 2018 RB Elijah Hill) provided meals to our players through her restaurant – Thee Burger Spot. Not only did she host a post game meal, she created the “Official Terrier Burger” at her restaurant to help raise funds for the team during the season, an upwards of $600. Tivona also fed our 5 All-Star players before practice for an entire week prior to the 2016 East-West Senior All Star game at Raymond James Stadium. Team Mom Victoria Morse organizes the Terrier Time program at Robles Elementary. Each month Terrier Team Captains visit the school in an effort to provide mentoring and guidance to boys at the school. Victoria also worked with the boys at Robles to help create centerpieces for our team awards banquet. Team Mom Lisa Patterson (mother to 2018 OL Andrew Patterson) has been with the team 3 years and has been pivotal in ensuring team eligibility packets are completed properly. 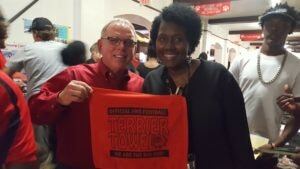 She has done an outstanding job with fundraising and capturing sponsors for the team. Any given Friday Night, you can find Lisa at the front gate welcoming our fans into the game! The list goes on and on! Team Moms Rhonda Bruce, Michelle Morrison, Neqaui Miguel, Tiffany Montgomery, Marisa VanArsdall, Lawanda Cannon, Matesha Simmons, Lisa Rivera, Ethel Banks and Terry Williams have been instrumental in keeping our Terriers taken care of. Providing everything from cases of water, post-game meals, laundry detergent for uniforms to transporting our players to camps/practices and supplying any of the needs that are not covered by the county. We simply cant express our gratitude for all they have done. You might ask what sets our team moms apart from any other school. Our answer – At HHS for every 6 players there is only 1 mother who is an active participant in the football program. This means that each active team mom takes 5 additional players under her wing and cares for them as her own. 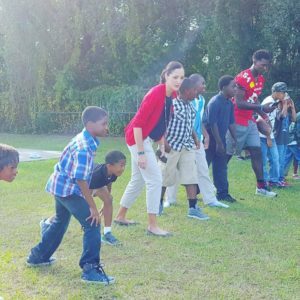 Sacrifice, dedication and most of all…LOVE – this is what defines a Terrier Mom! We Are a Terrier Army!